Alan Coleman fell in love with Google AdWords in 2007 and set up Wolfgang Digital on his kitchen table. From these humble beginnings, this company has now become a multi-award winning digital winning marketing agency and is recognised as Ireland’s leading Google AdWords agency. 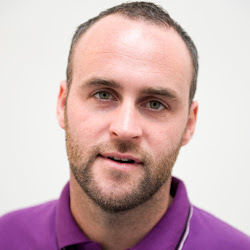 Alan Coleman is also a lecturer for the Digital Marketing Institute and is a regular digital marketing and IT speaker. He has spoken at global events such as The Dublin Web Summit and The Conversion Conference London. He has guest blogged for search marketing powerhouse State of Search and also writes blog posts for business owners, marketing managers and the digital marketing community. Alan Coleman has Degrees in Marketing and Management Science. Before he started Wolfgang Digital he ran a number of small businesses including a veggie lunch delivery business, a football merchandise business and porridge & smoothie stalls at music festivals.